Almost three years ago exactly, I shared this post talking all about FlyWheel! 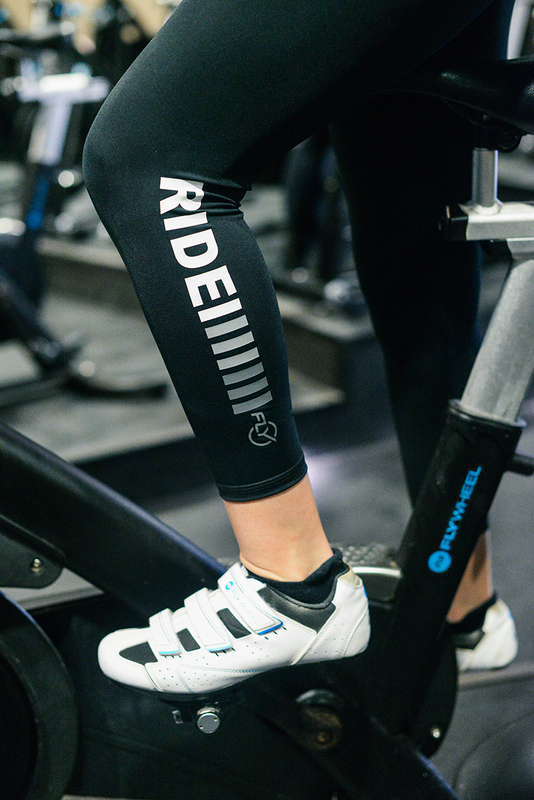 I’ve been a fan of FlyWheel Sports ever since they opened their Highland Park studio several years ago, and lately it’s been my go-to cardio workout. I’ve always enjoyed running, but I never am able to push myself very far or for more than, say, 20 minutes? I’ve also tried treadmill-based classes, but my shin splints always get in the way and I have to stop. Clearly, running is not a good exercise for me! With that said, I was looking for a cardio workout that would burn a ton of calories, challenge me, but wouldn’t cause me injury or pain (like the shin splints). FlyWheel has become the all encompassing answer to my cardio workout woes! According to the FlyWheel app (which I check daily after class), I typically burn around 700 calories each Fly45 class – this is just in a 45 minute spin class, you guys. That’s huge! When I really want to push myself, I’ll take a Fly60 class (an hour) and burn over 1,000 calories in one sitting. Every once in a while, I’ll even double up on Fly45 classes for an hour and a half of pure cardio. As a competitive person by nature, the setup of this class is totally up my alley. You have the option to share a username on the Torq Board, which allows you to see where you rank next to other people in your class during your ride. There are races, Torq challenges, and more that allow you to feed your inner athlete. While I don’t personally put my name up on the board, I can still see what other people’s scores are throughout and at the end of the ride, so I can push myself and reach higher scores each class. As I mentioned before, your final Torq power number will be available for you to view on the app (along with calories burned) after you’ve finished class. It’s a great way to track your progress over time! The app also shows you where you were ranked among everybody else in that particular class (no usernames featured here). I love trying to beat my previous score each class – it gives me a goal I can achieve if I work really hard! 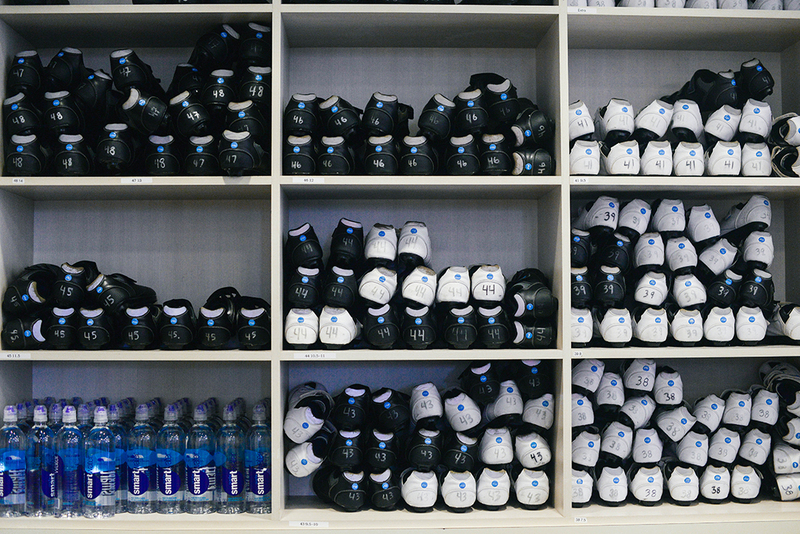 In addition to the classic Fly45 and Fly60 classes, FlyWheel has also recently introduced FlyBeats. This new format focuses on sticking to the beat of whatever song is playing – it’s very fast-paced and more of a dance party. While I prefer the regular classes, FlyBeats is very popular, fun and not at all race or competition-driven. Definitely worth checking both formats out to see which one you like best! 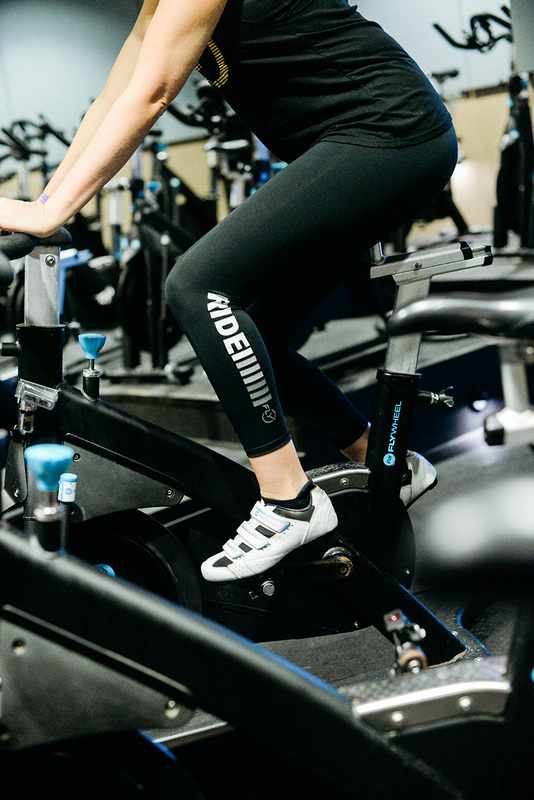 Anyway, if you’re looking for a kickass cardio workout that will burn an insane amount of calories (while you listen to great music, no less), you’ve definitely got to find a FlyWheel studio in your area! 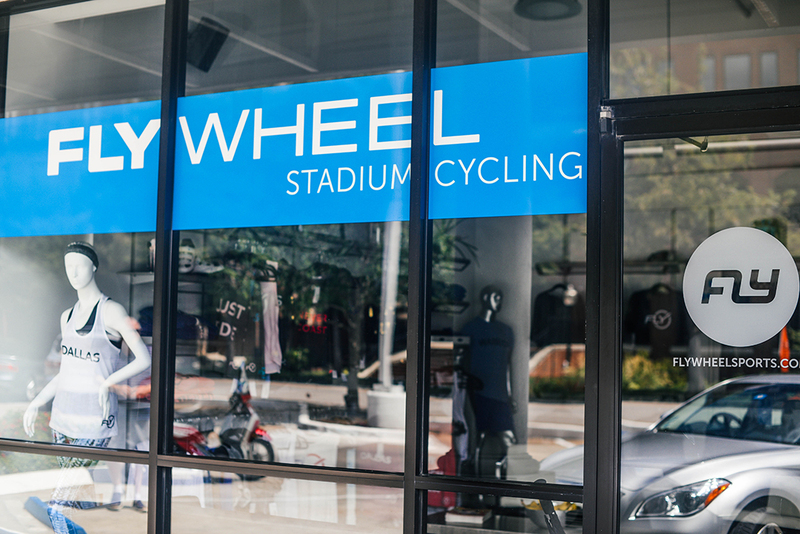 Speaking of which, there’s actually a studio down the street from my hotel here in New York that I’m taking classes in during fashion week – FlyWheel is currently operating in 38 cities in the US (42, including Austin, by the end of the year! 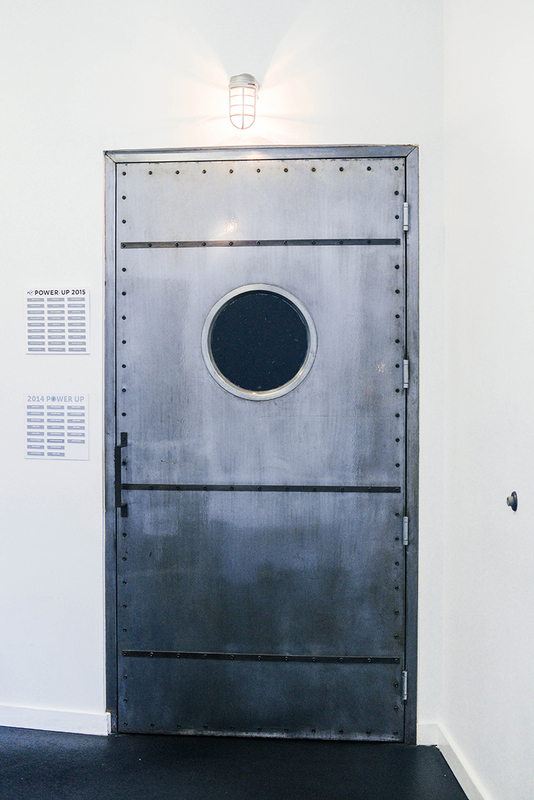 ), so it’s also a great option for those of you who travel a lot! 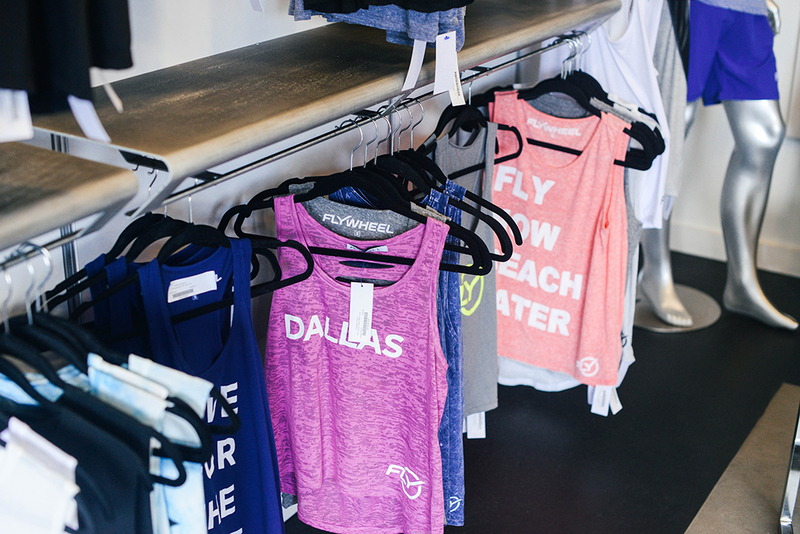 PS – FlyWheel Sports also has their own line of awesome workout gear including tees, tanks, sweatshirts, leggings, water bottles and more. 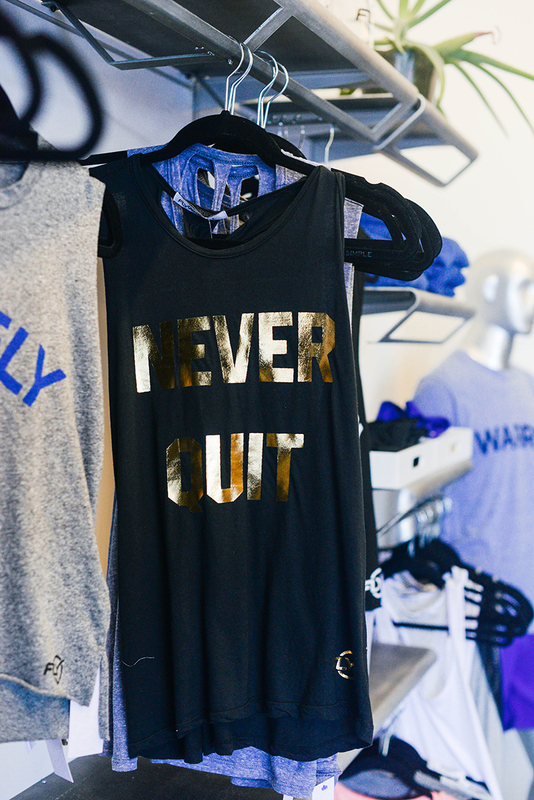 I’m obsessed with the gold foil tanks they have this month! 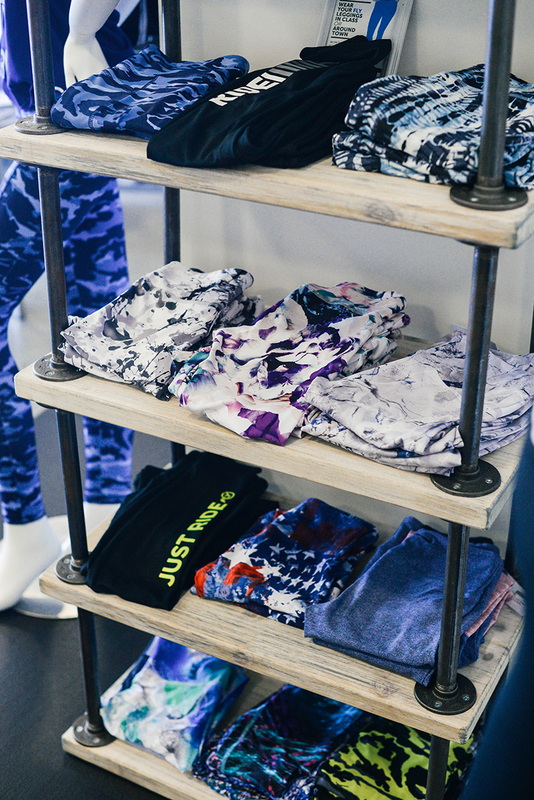 They get a new collection in every month, so you can keep your workout wardrobe fresh. Flywheel is seriously amazing! So jealous that Lesley is teaching in Dallas now; she’s the best! 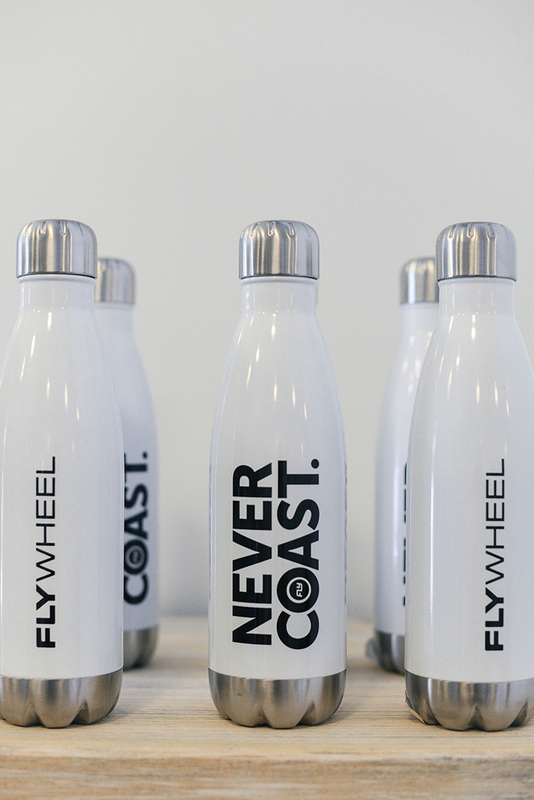 I’ve never been to a Flywheel but I love Soul Cycle from my time in NY! If only one of these could come to Omaha I would be SO happy! This is similar to my story; however; I was not exercising before! This changed everything for me over three years ago. Started riding on the upper west side of manhattan and then worked at the astor place location as a CC and just moved to Boston. The firs thing I did was found the flywheel started riding and now working again there. This place is full of magic and wonderful people who will support you while pushing you to be a better you physically and mentally!!! It is a family and I am so glad you seem to have joined and loved the flyfam like I have. This article is great! Thanks for sharing and sorry for spilling my guts but so nice to see another story like mine.